Is yes, first stem should be update to 3.8 then to 3.10. Am I right? and in which package will I find the language of Poland? does every file that is in the folder after downloading and has the ZIP extension must be unpacked, or rather the computer in the car unpacks them? has a pen drive I have '' SyncMyRide '' and '' autoinstall '', and for example such '' EA5T-14D544-AD zip ''. Is this last file and others to be unpacked after connecting to the USB in the car automatically, or do I have to unzip each ZIP file to a folder on a pendrive? Do not unpack the Zip folder, the car will do that. @BannkoHi Bannko, thanks for providing these files. Are you aware of any further updates to Sync 2 in the pipeline? Same problem here. Also, I tried to downgrade to 3.08 by adding the the [3.10.16180] tag to 3.08 autoinstall.ist file, this also causes a bootloop. Any help would be great. 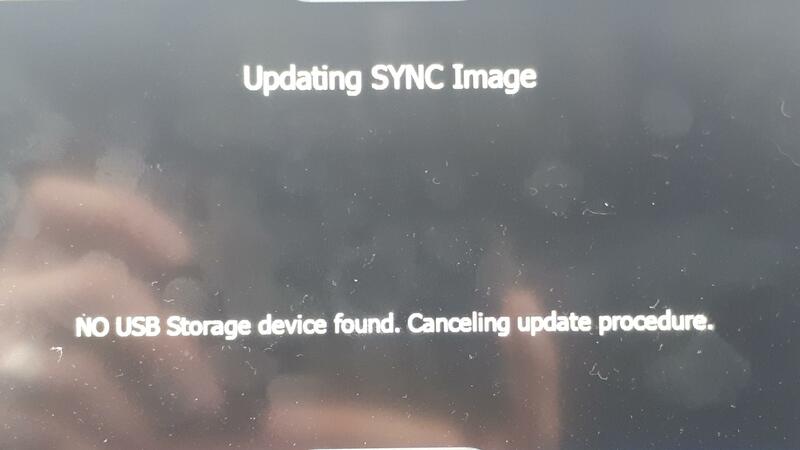 i have decided to update sync2 on my car and already dowloaded the new version from the link that you shared but i got the warning in the enclosed photos and i couldnot succeed the update, i also cannot use the existing sync and touchscreen now. do you have any idea about the wsy to solve the issue ? You can go straight to 3.10. 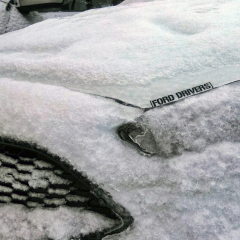 @Bannko Hi, many thanks for the really helpful and easy to follow upgrade to 3.10 - unfortunately, I appear to also have the issue of a white screen when unlocking the car! Is it possible to request the fix for this please? i am in uk and just bought a Kuga. It has 3.08 but no nav. I’ve read the various replies if I upgrade to 3.10 Lang pack 5 using the link provided, does that include the nav files and then just use foracan and .png? I now have crackling on bluetooth phone calls and terrible audio quality on the system voices?? I have done a Master Reset on the SYNC system but this hasn't helped. Any ideas? Possibility to downgrade?? 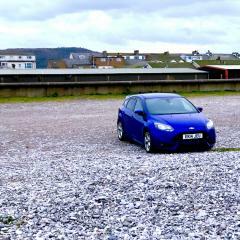 Long time lurker, but wanted to join to learn more about how to get the most out of my new (to me) Focus 15 Titanium X. I have just updated to 3.08 from, what would appear is the default factory set up. Would I be able to get the decrypt key to update to 3.10 please? @samevansinworthi idk why this Forum is editing the links for some users and then they do not work. I just PM'd you the key. Thank you @Bannko all received. Have a great day. Hi All, ive downloaded 3.10 language pack 5 but when i plug in the usb it says no file found, am i missing something?